Runny nose and sore throat? Good times. Fall semester is in session and so is fall weather! While this might be exciting, there are sad consequences to the changing of the seasons: nasty colds. 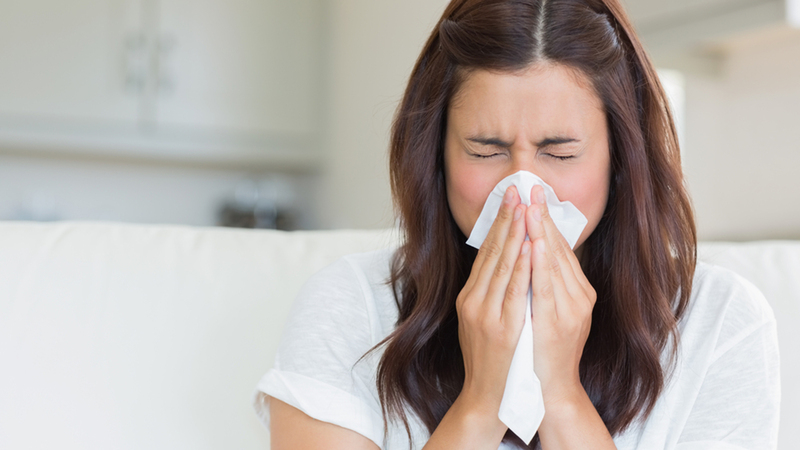 There are multiple reasons why colds are more likely during fall and spring. For fall, it might be due to the drastic change in temperature. There is usually a surge in flu or cold outbreaks during a cold snap (when temperatures reach suddens lows for a few days.) This is because our bodies immune system needs to adapt to the change in temperature and tends to be weaker because of it. College kids also tend to become more susceptible when entering the new semester because of the high stress scenarios of balancing a class schedule. High levels of stress and lack of sleep, both things that happen when you are juggling class, homework, a part time job, and a social life leads to a weaker immune system. Add in the bonus of being in enclosed areas (classes) around strangers, you’ve just opened yourself to tons of new and exciting strains of bacteria! I am currently suffering from this wonderful rhinovirus (the official name of the bacteria that causes the common cold,) thanks to stress and lack of sleep, so I figured I should shed some wisdom on how to get over a cold like any college kid would. First, I’ll start with the basics. The most important part is staying hydrated, which means: drink water. I know, gross, right? Why drink water when you clearly need coffee after pulling an all-nighter? And you wonder why you got sick in the first place. Well, to convince you to stay hydrated, let me throw a little science at you. When you have a cold, you might notice that you’re coughing up a lot of mucus and you’re nose feels like a faucet. This is because your body’s natural reaction to fighting the common cold is to build up mucus. Mucus takes up a lot of your body’s water content, however drinking water will cause the mucus to be less sticky and easier to expel from your body by coughing or blowing your nose. I’m really sorry if you were eating, but it’s an important fact. The human body is disgusting. Luckily, water is free in most places, so I’d advise you run to your nearest sink and fill a clean cup with your best tap water. Second, if you can’t afford to run to the store to buy kleenex and you’re basically in your dorm for the night and can’t leave because you absolutely need to finish this paper, here is an awesome life hack: use toilet paper. I know, gross, disgusting, toilet paper is for toilets, but just hear me out. It’s basically the same thing as tissue paper and you probably keep rolls stored somewhere away from the bathroom. Besides, you keep your makeup and hair products in the bathroom don’t you? Check mate. Anyways, toilet paper is great. Usually it’s kind of soft and if you’re too embarrassed to carry a roll of toilet paper to class, just keep this in your room when you wake up in the middle of the night to blow your nose and just buy kleenex on your way to class to keep on you. Third, tea is your best friend. Tea with honey are probably my favorite thing to drink when I have a cold. Avoid caffeinated tea because caffeine will dehydrate you which you are trying to avoid as I explained in my first point. Tea is great because most hot liquids will soothe your throat. Really anything dealing with steam will be the best for your body right now. So take a nice long hot shower while your at it. Honey is fantastic because it lines your throat and will soothe it. I prefer a good soothing tea, like camomile or earl grey because it’ll relieve stress and help you relax. Stress is probably what got you here in the first place and it’s important to relax even when you’re balancing everything like a clown in a juggling act. So, take a break from studying, turn on that goofy sitcom, microwave some hot water, because let’s be honest, we haven’t reached the level of adulthood to actually have a tea kettle, and make yourself some nice hot tea with honey in it. I hope some of these have helped. I’m going to try to get over this cold the best I can considering my busy and stressful schedule. I wish all of you sicklings good luck and make sure to do the right thing and not cough in your friends face. Also please don’t be jerk and get your partner sick if you have one. You can literally wait a week without kissing . If you actually care about them, you wouldn’t want to get them sick anyway. Stay healthy!